During this pregnancy, one of my personal philosophies has been to do stuff that I haven’t done before. This is my last chance to be pregnant (really!) and I want to make sure I leave no stones uncovered or cool stuff undone! 😉 So, if I’ve thought about doing something in past pregnancies that I didn’t do or learned about something new to try since past pregnancies, I’m doing it now! 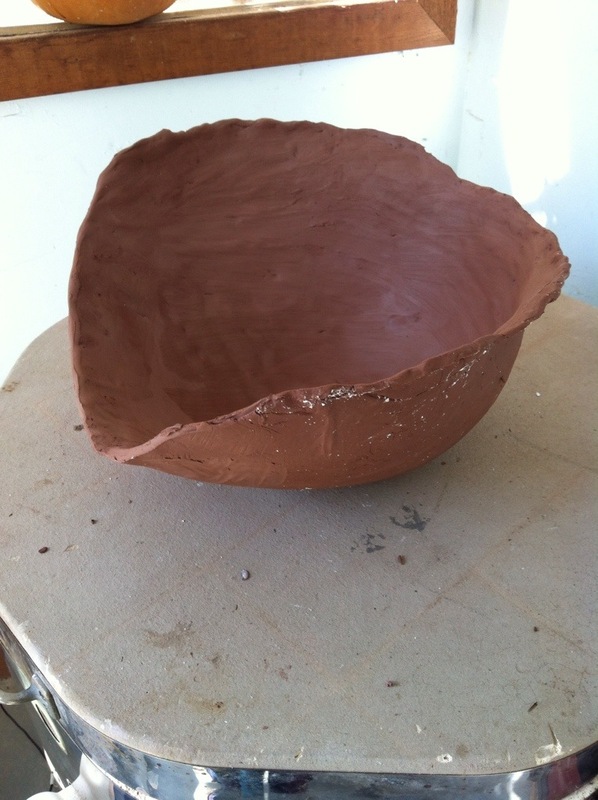 One of those things was making a clay belly bowl. 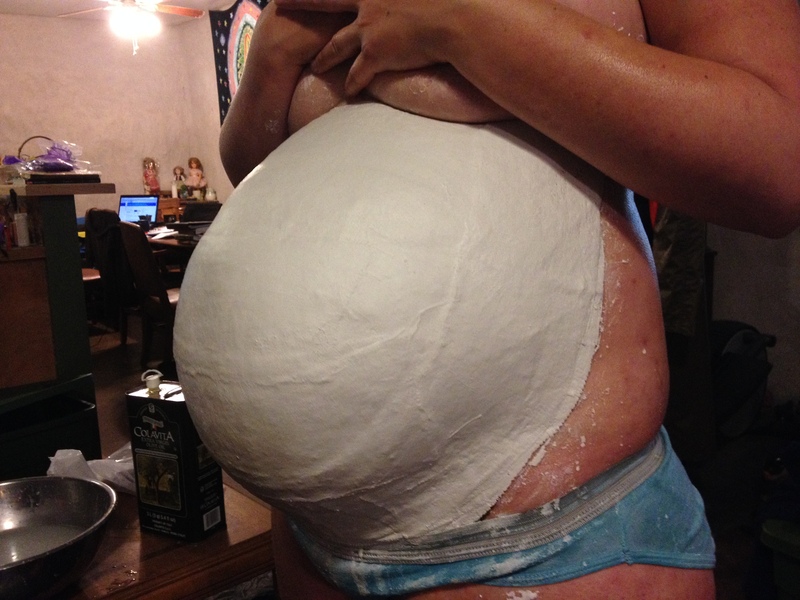 I’ve already done plenty of belly casts and, of course, I did a new one during this pregnancy too. Luckily, I have a mom who is a potter (everyone should be so lucky!) and so I drafted her for this project. Luckily, she is also a mom who is game for pretty much anything. Mark and I made another cast of just my belly to use as a mold. FYI, it isn’t as fun to make a second belly cast during the same pregnancy—it feels more like a “chore,” or this again?! I am known for my efficiency, so of course we made this cast right before my ceremonial bath project. After it dried for several days, I took it over to my mom’s house and we (mostly she) rolled out a chunk of clay until it was a rough circle. 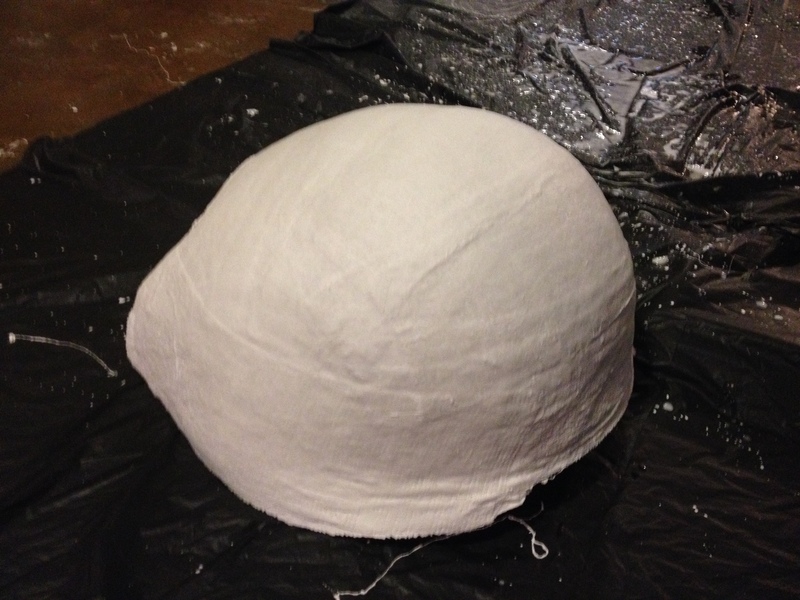 After that, we pressed it into the belly cast and smoothed it out as best we could. She reminds me that there are many steps to go and it may not make it to the end of the project, but it has gotten started! And, speaking of pottery bowls, last year I mentioned to my mom that I’d really like to have an “elemental altar bowl,” which is basically a portable little all-in-one altar. 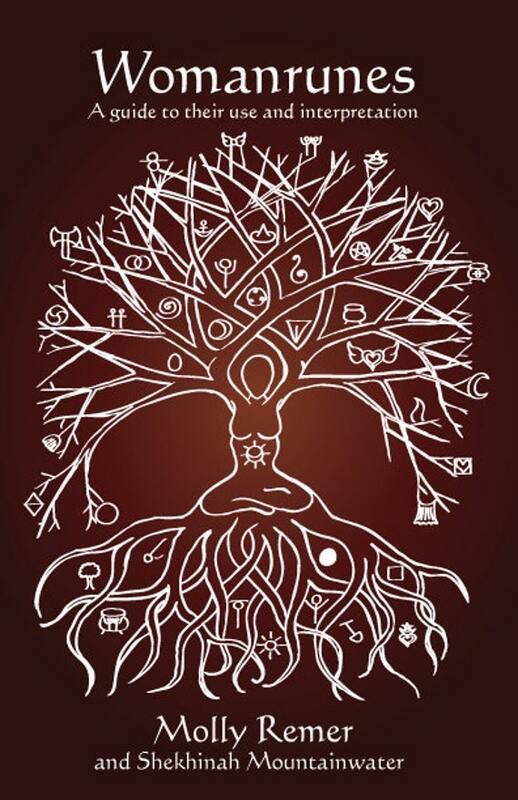 It “holds” all four elements in one: Earth the clay it is made from, water in the dish surrounding the candle, fire in the candle, and air in the smoke/flame. Anyway, I had no idea that she then worked and worked to try to create one for me, experiencing many collapsed or cracked bowls in the process of learning how to make one. But, because that is who she is, she did it! And, I received a beautiful elemental altar bowl for Christmas. While I may say my “love language” is “words of affirmation,” I also know that “gifts” is one of the love languages I express and, I think it may be my secondary love language. It really means a lot to me when someone has paid attention so well to something I’ve said or mentioned or written or expressed and then show that attention via a careful and loving gift like this. Anyway, she made several other altar bowls recently and we actually have one of them on etsy now! It is hard to photograph in a way that shows all of its loveliness. It also doesn’t have to only hold water, it can be used in many ways. Yesterday, I picked some rose petals to put it in and added one of my sculptures and lit a candle in honor of Pregnancy and Infant Loss Remembrance Day.